The steps outlined below are designed to help you prepare for a financially independent future and the process needs to be revisited every few years in order to adapt your financial planning to your changing needs. If you use a financial planner, these are the steps that he/she will guide you through in order to determine the best way forward for your financial planning. By the same token, if your financial planner does not take you through the process described below, you should be considering a new financial planner. Gathering information and setting goals. You need to gather as much information about your current financial position, including all life and investment poslicies you are currently paying for. All of the details of your current pension fund. Details of any loans, long term in the form of bonds or short term including overdrafts. A schedule of monthly expenditure. Your financial planner needs as much information on your current financial position and the documentation relating to your current investments in order to advise you. Set financial goals for medium and the long term including Lifestyle goals. Analysing your current financial status with your future goals in mind is the next step and would include an analysis of the tax implications of your current investments. The presentation of a financial plan that will meet your goals will be discussed with you and the tax efficiencies of the proposed plan. A good way to defer tax is by increasing contributions to retirement funds to the maximum allowed as an example. 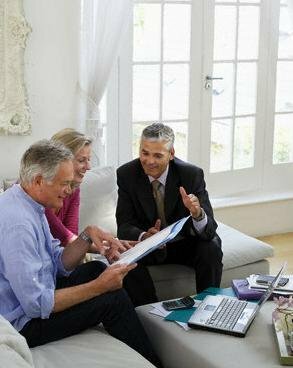 If your financial planner has had all the information and fully understands your financial goals the plan should need little adjustment but there is invariably some adjustments which need to be made. Your financial planner, with your consent and after having explained everything to your satisfaction, including an understanding of the risk profiles of the investments he/she has advised, will now go about restructuring your current plan and implementing the new financial plan. This may include liaising with your stock broker or other financial institutions. At implementation, you should have a clear indication of what you can expect from your new financial plan and it is essential to evaluate the performance of the plan as a whole as well as each individual aspect and if need be make adjustments to your financial plan.